The Pop-Up Camper is perfect for “practice” camping and convenience. 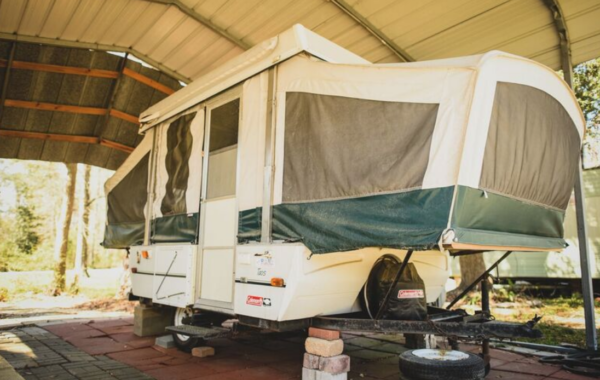 It has 2 camper double beds, including sheets and pillows, and a/c. It’s steps away from the showers and restroom. The Pop-Up is $30/night plus day fees and tax. Reserve now with a $15 deposit.